Recent graduate Samone Rowe (BMC ’14) interned with The Greenfield Digital Center and Special Collections to create an original digital exhibit featuring the College Archives. Here she reflects on her connection to the archival materials documenting early Bryn Mawr students. You can view Samone’s project, Candid Campus, and other exhibits built on Bryn Mawr’s collections here. 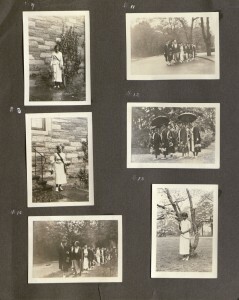 Lucy Shoe Meritt, Class of 1927, Bryn Mawr College Scrapbook and Photo Album Collection, Special Collections, Bryn Mawr College. Last summer, I was granted the opportunity to work with the Photo Album and Scrapbook Collection within Bryn Mawr’s Special Collections. My research, completed over ten weeks, resulted in Candid Campus: The Lesser Known Narratives of Bryn Mawr College, a Greenfield Digital Center exhibit detailing hidden aspects of the college’s culture. The scrapbooks and albums included postcards, photographs, playbills, newspaper articles, and a myriad of other trinkets and clippings. Since the internship summer served as the precursor to my final year at Bryn Mawr, I appreciated seeing which moments of their academic careers the school’s alumnae held most dear and comparing those experiences to my own. Even now, months later, I continue to wonder how I fit into Bryn Mawr’s legacy and what effect the school will have on my future. 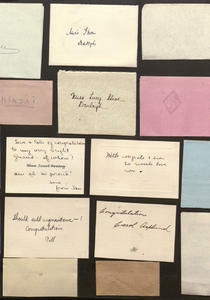 A scrapbook I developed a somewhat personal connection with was that of Frieda Woodruff (née Wagoner), a graduate of the class of 1951. The design of her album was simple: small black-and-white photos explained by minimal text. Yet, the sentimentality of the album starkly contrasted its stark layout. Her photographs, which chronicled her final two years at the college, unexpectedly mirrored experiences of my own. Initially, I was amused by images of Woodruff and classmates waiting for their modern art course to begin and an allusion to “The Thinker” sculpture. As I continued to gaze at photos of her friends studying, sunbathing, and joking around, everything in Frieda Wagoner’s album seemed so natural and familiar to me. It was thrilling to see how the Mawrter spirit hasn’t changed much over the years. Euretta Simons, Class of 1936, Bryn Mawr College Scrapbook and Photo Album Collection, Special Collections, Bryn Mawr College. Creating the exhibit was both exciting and illuminating. As a history of art major with a strong interest in new media, working with the Greenfield Digital Center allowed me to explore translating visual and physical materials into the digital realm. Since the summer, I have continued to sharpen my newly-gained virtual exhibition skills by curating digital exhibits for class assignments and scanning and editing various types of archival materials with Special Collections. My ten weeks spent with the Greenfield Digital Center and the Scrapbook and Photo Album Collection were invaluable, and I hope I get the privilege to complete projects similar to Candid Campus in my post-Bryn Mawr endeavors. 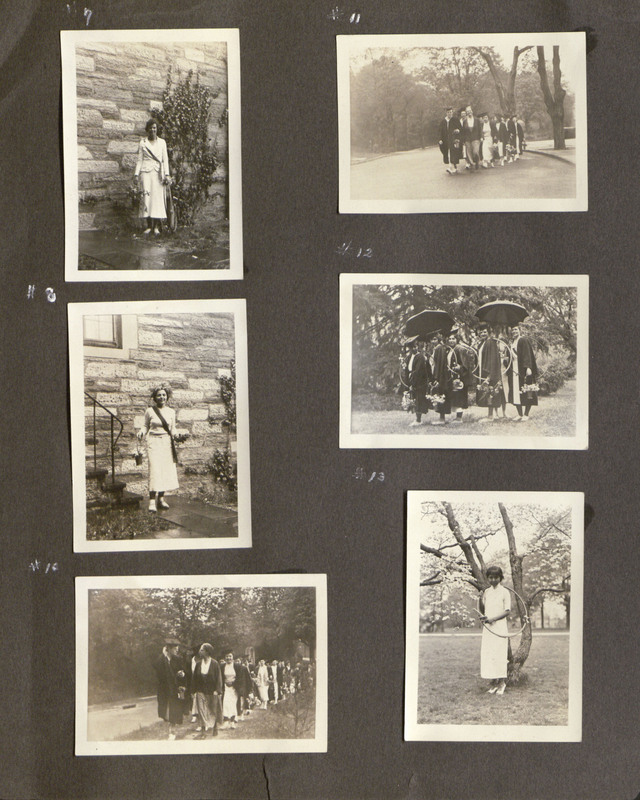 This entry was posted in Features, Guest posts and tagged alumnae, Bryn Mawr College, Connecting the past with the present, digital collections, student projects, women's history by Evan McGonagill. Bookmark the permalink.